The razor-sharp reefs of Java were at the outer limits of surfing in the 70s, and they still test the most hardened barrel hunters today. 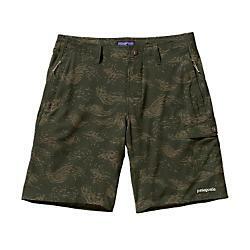 Made from durable, fast-drying and superlight 100% recycled polyester, the Stretch Hydro Planings are the highest-performing board shorts in Patagonia's line. 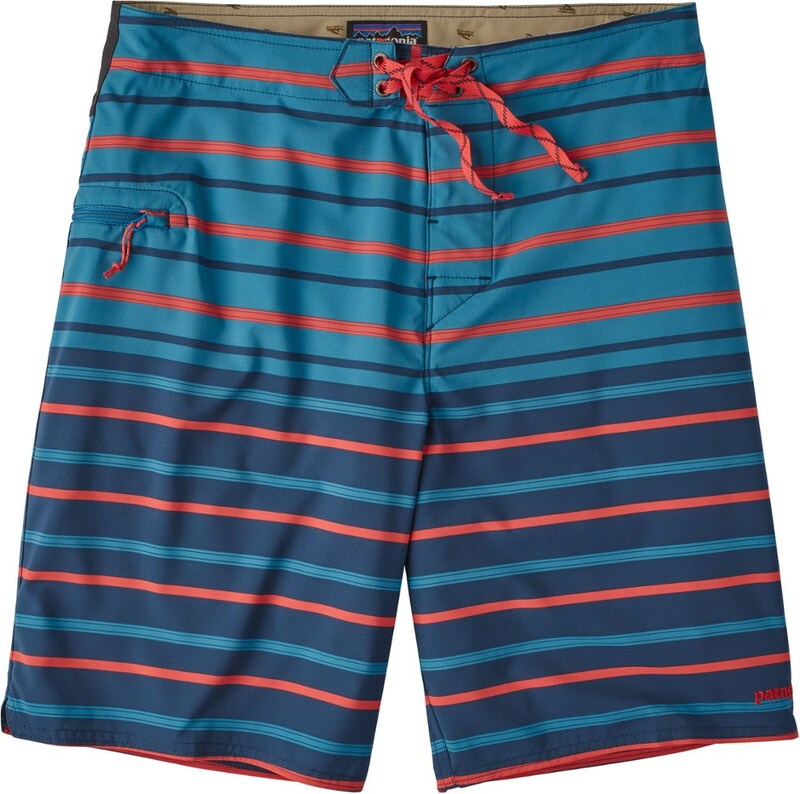 They feature 50+ UPF sun protection and a DWR (durable water repellent) coating; their 2-way mechanical stretch offers maximum flexibility in fast, top-to-bottom surf. 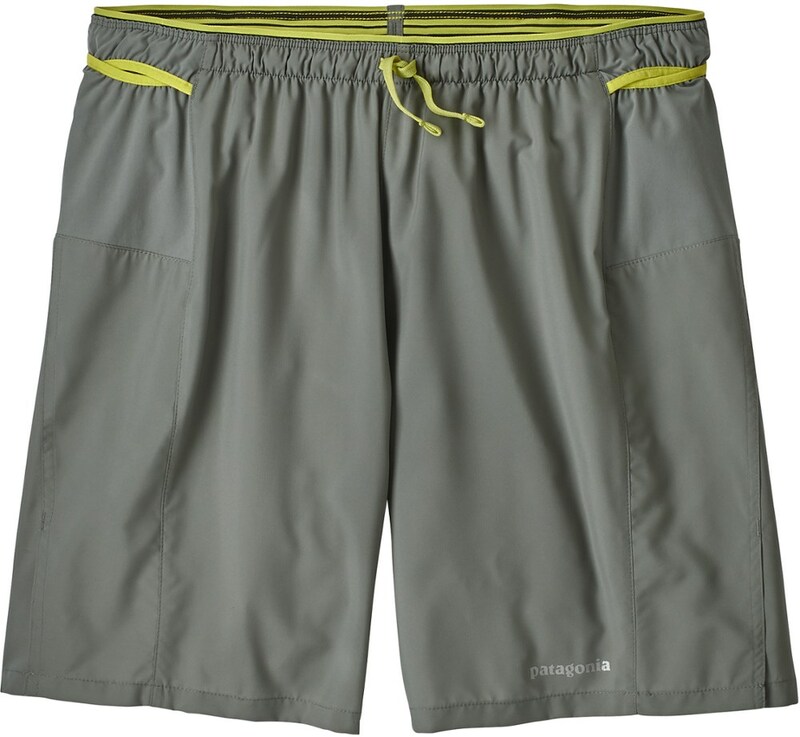 A low-drag waistband and slim profile through the thigh and leg provide superior functionality; the flat-lying gasket fly is optimized for comfort while paddling; a bartacked ladderlock drawstring closure adds long-lasting durability and keeps the shorts secure. The self-draining flap pocket on the right hip has a corrosion-proof plastic zipper with added zipper pull for ease of use; the pocket also doubles as a self-storage pouch. 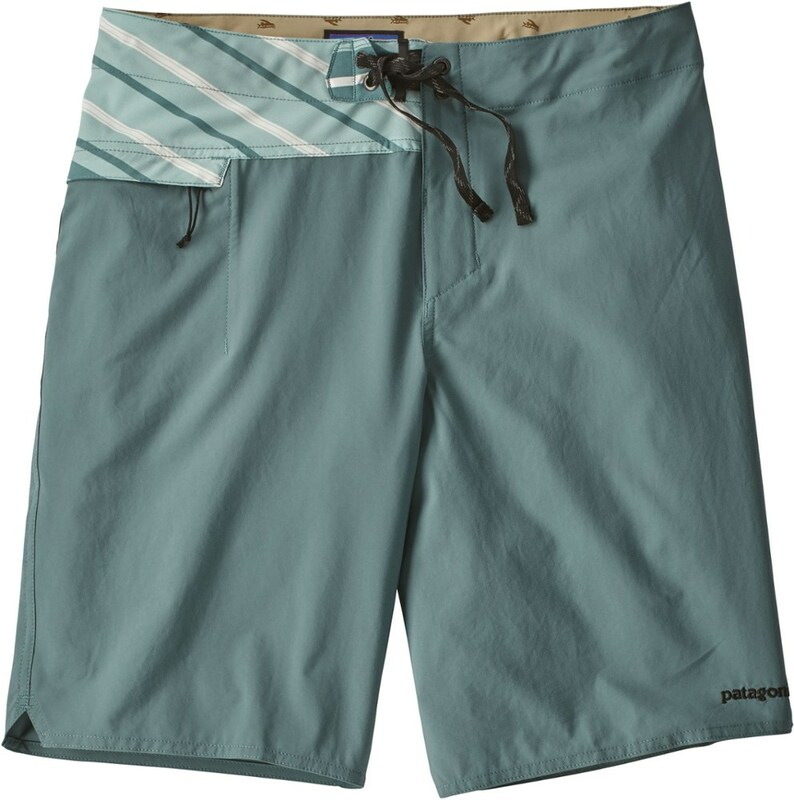 Made with durable, quick-drying, superlight recycled polyester, Patagonia Stretch Hydro Planing board shorts are the lightest, highest performing board shorts in the Patagonia line. 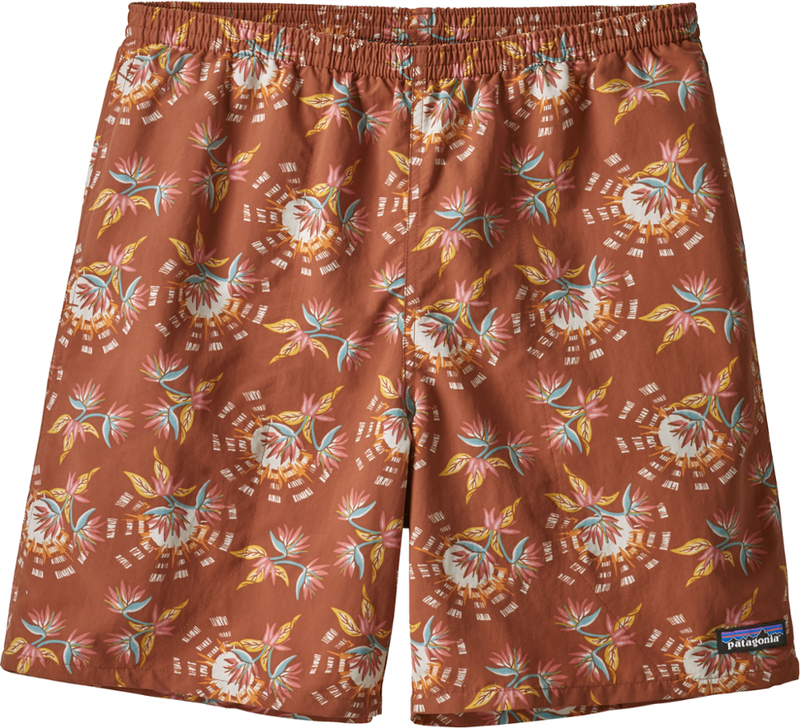 From the uncrowded beaches of Baja to the powerful waves of Hawaii, the Patagonia Men's Stretch Hydro Planing 21in Board Short brings technical stretch capabilities to your swell-chasing ambitions and lazy beach days. Superlight recycled polyester fabric conforms to your every move in the surf with its two-way mechanical stretch construction. UPF 50+ sun protection ensures safety from UV rays when you're bombarded with sunshine at the beach. The DWR finish limits water absorption, which means you'll be pleasantly dry in a matter of minutes, instead of dripping all over your vehicle after leaving the beach. The notched outseam maximizes range of motion, with an inseam-free design that eliminates chafing. 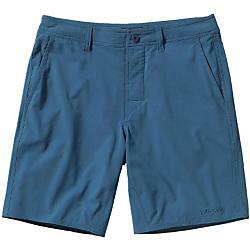 Additionally, the zippered flap pocket keeps your cash and keys safe when you're playing in the surf.